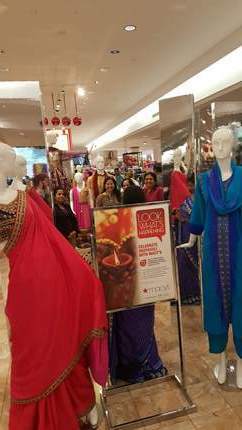 (Left) Macy's customers enjoyed the mehendi stations set up in the store. 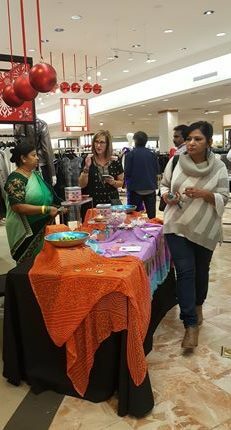 In their first department store event in America, the Macy’s in North Point Mall, Alpharetta, Georgia, celebrated Deepavali on Sunday, November 4, 2018, from 1-5pm, in the Cosmetics and Jewelry Departments on Level 1, in partnership with ASB Communications, honoring the beauty of the holiday and the traditions celebrated across many communities during this special time of year. Deepavali or Diwali is the Festival of Lights that marks the victory of light over darkness, knowledge over ignorance, and good over evil. (Right) The Kalaxya team performing at Macy’s first Deepavali celebration. The celebration began with the lighting of the diya (lamp) with Macy's team and dignitaries, followed by regional dance performances by the Kalaxya Institute of Performing Arts (KIPA). KIPA Director Mital Patel and her students presented the classical dance of Kathak (with storytelling through dance) and an entertaining Bollywood medley, as well as an upbeat folk dance of garba. 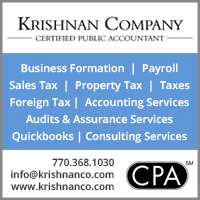 Then around 20 beauty pageant winners from two pageants paraded, organized by IACA and Dreamgirl Entertainment LLC with Kamlesh Chugh. 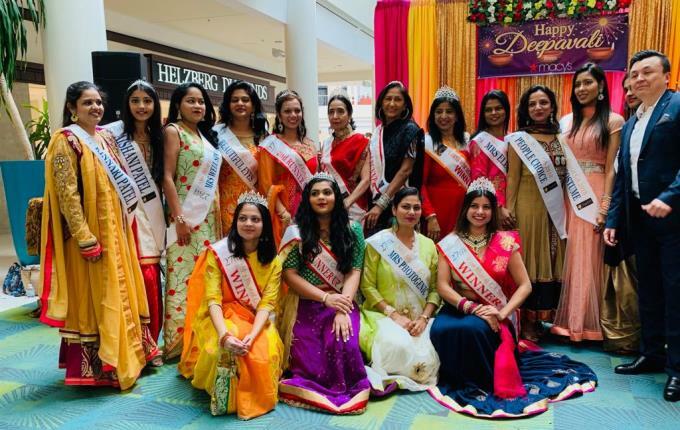 Macy’s customers could meet Indian pageant winners. 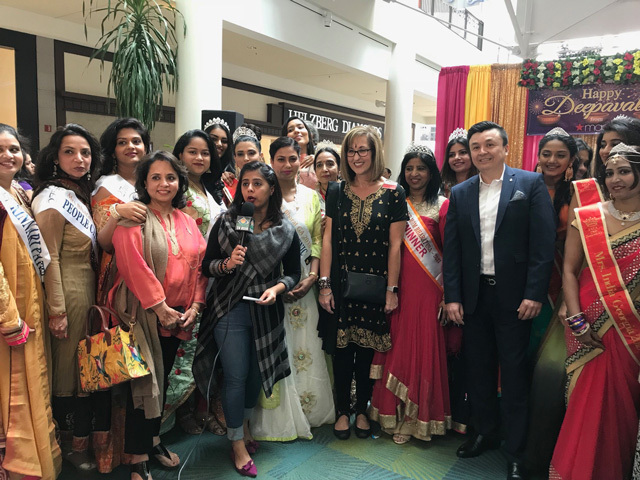 Anjali Chhabria reporting for TV Asia, in a group including, to her left, Sheila Wilson in black, Kamlesh Chugh in red, Jose Gamio, and others. Present were Consul L. T. Ngaihte (Political and Consular), Consul Asim Kumar (Administration), as well as Macy’s executive team, Naveen Krishna (Chief Technology Officer), Mark Standish (District VP), Jose Gamio (VP Diversity and Inclusion Strategies), Sheila Wilson (VP Macy’s North Point), Bianca Carson (Assistant Store Manager), and Angela Kuo (Assoc. Manager, Diversity & Inclusion Strategies). 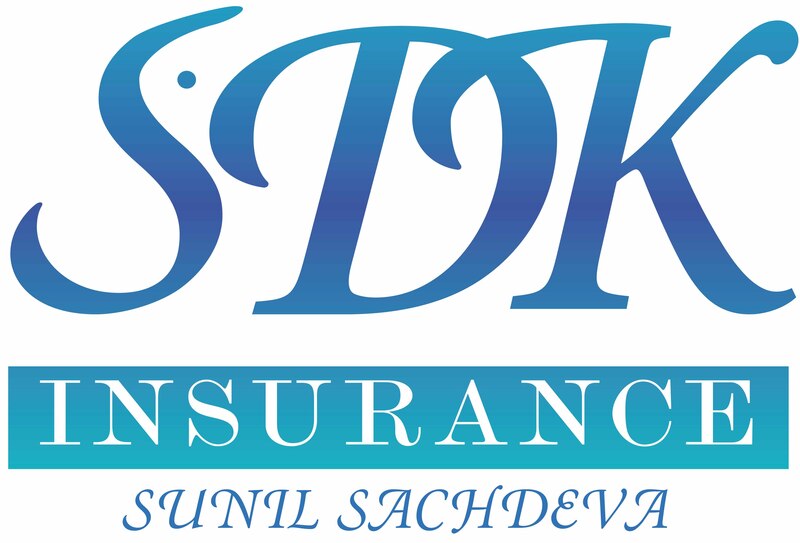 Subash Razdan (Chairman of the The Gandhi Foundation of USA), Raj Razdan (founder of the Senior Citizen Program), Vir Nanda, Ani Agnihotri, Roshan Wadhwani, and Sunita Chugani also attended. (Left) Under the Christmas decorations were Indian cultural displays, Deepavali jewelry to buy, and more. 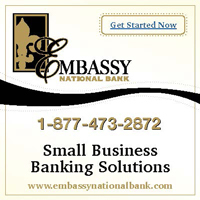 The program was well organized and emceed by Neeta Bhasin, President and CEO of ASB Communications. Lively dances from various regions created an ambiance of festival. Macy’s employees contributed traditional Indian clothes, lamps, and decorations for display. Customers also enjoyed the opportunity to shop from exquisite gifting stations with specially-curated Deepavali jewelry, utensils, and accessories—it is believed that buying gold, silver, and utensils on Dhanteras, two days before Deepavali, brings good luck to every member of the family. (Right) Emcee Neeta Bhasin, President and CEO of ASB Communications, and Macy’s North Point VP Sheila Wilson. 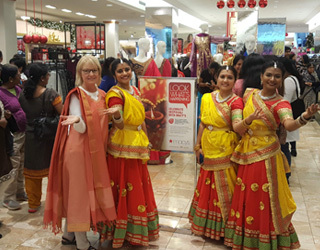 Macy’s North Point VP Sheila Wilson, dressed in black salwar kameez and tikka, declared that she was enthused to see hundreds of people from diverse background and ethnicities, including support from the Indian community. This had all started with wanting to recognize some of the Indian employees and do something Indian for them. 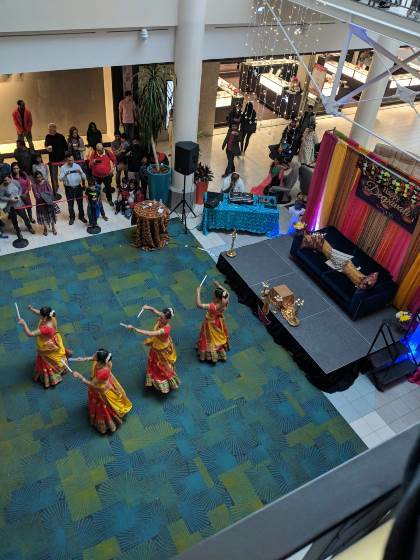 The employees then came up with the idea of organizing a Deepavali festival, and the Diversity and Inclusion program of Macy’s joined in. Collaborating with ABS Communications took the event to this level, she added. They chose Deepavali since it is celebrated widely in India and by Indians around the world, and yet there is diversity in the way it is celebrated in different regions; thus it is inclusive and diverse at the same time. 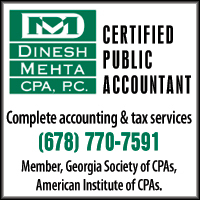 Some Atlanta Indian-Americans have seen the community grow from a few Indian families to many, from being excited to see an Indian face in a mall to now seeing a popular mall store celebrating Indian culture. The joy of witnessing this day was indeed reflected on many faces as they were there to support this initiative, the first of its kind in the country.